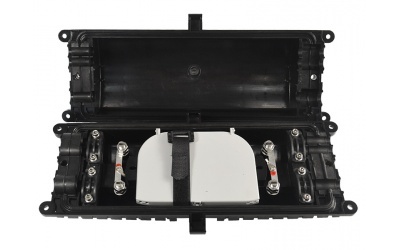 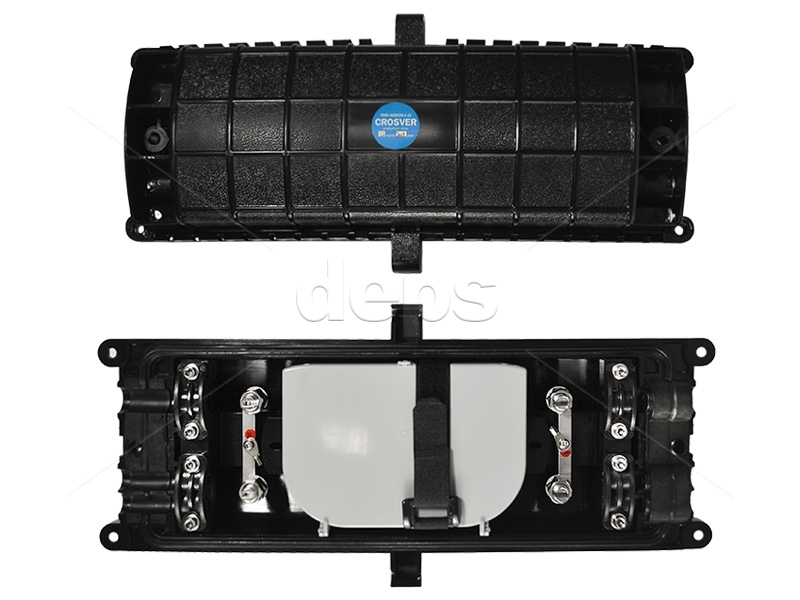 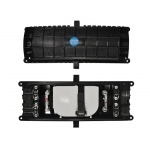 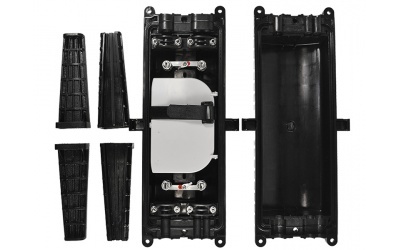 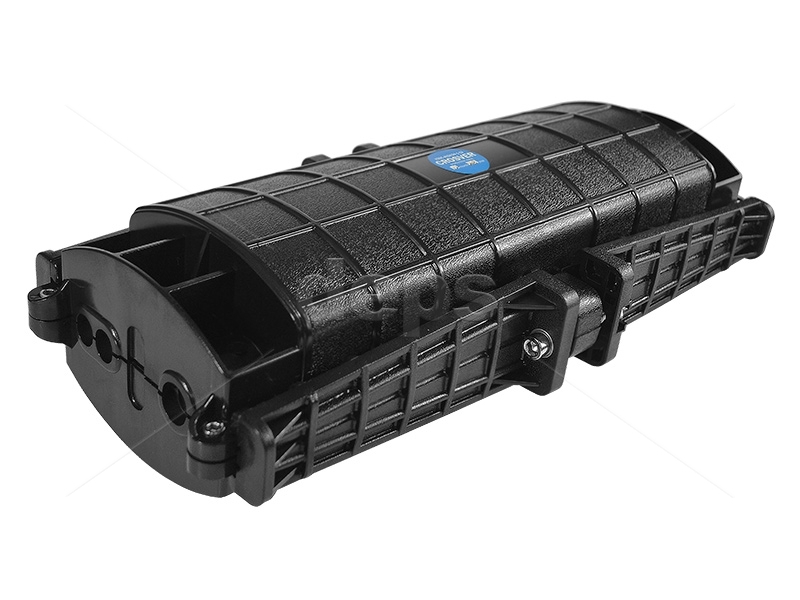 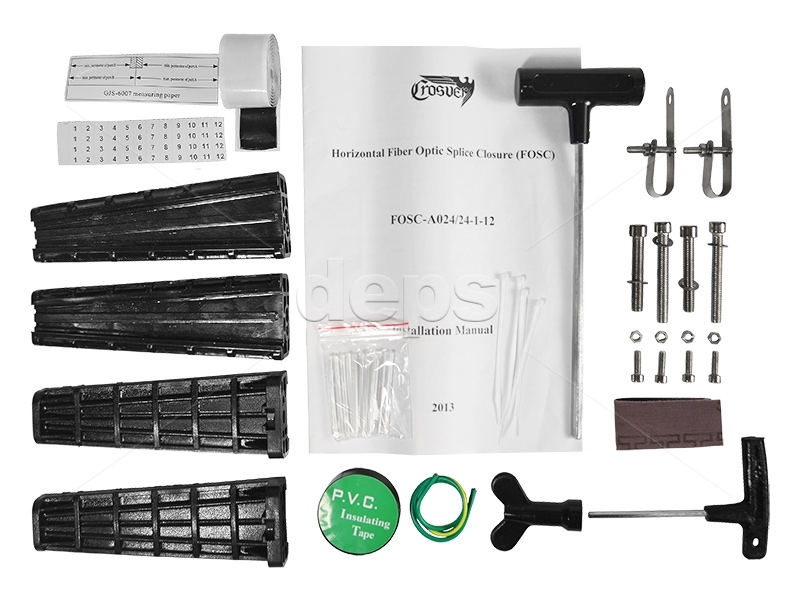 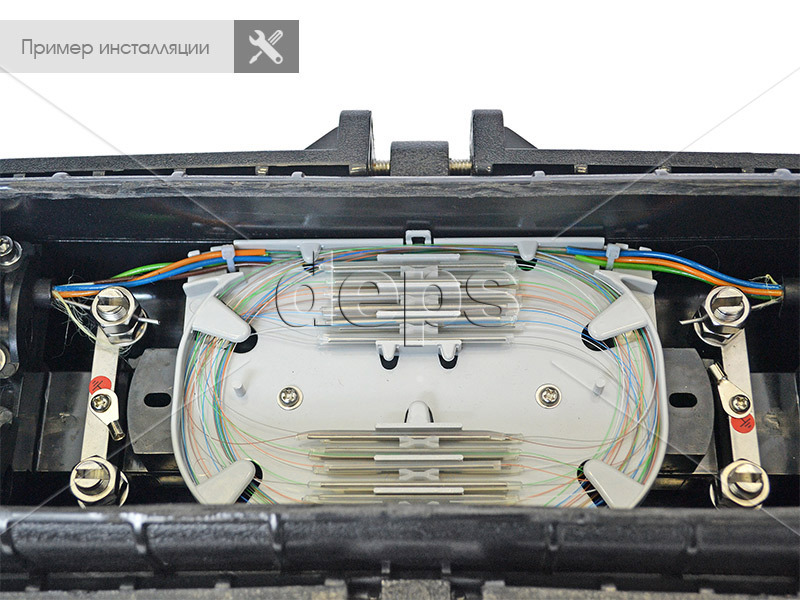 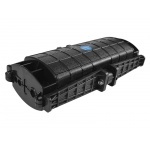 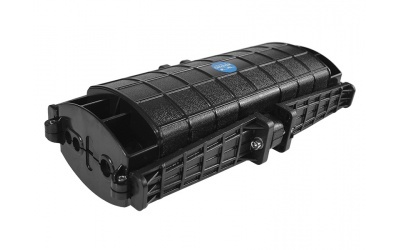 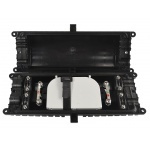 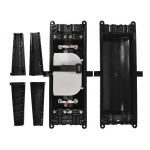 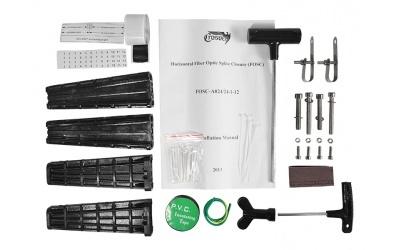 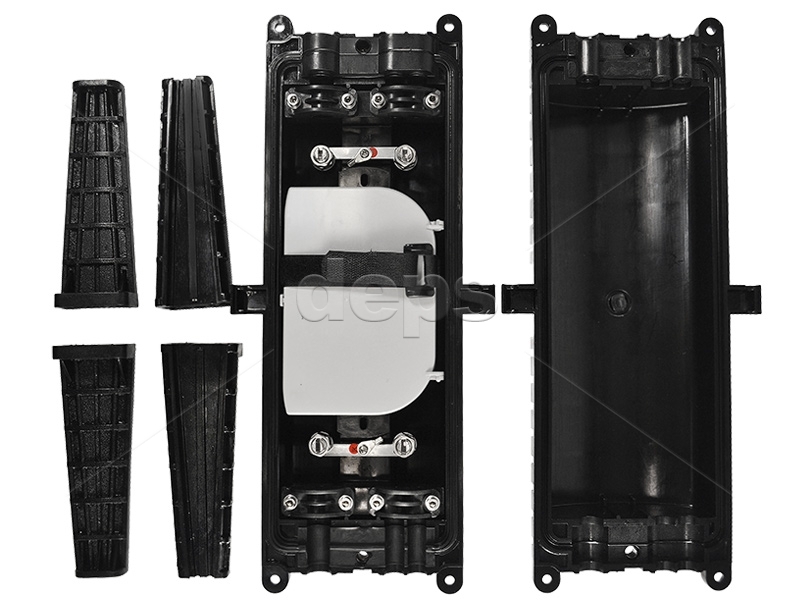 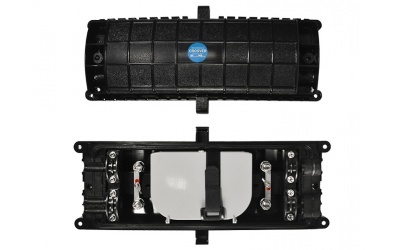 Splice-cassettes and fixing elements for optical cable are placed in a housing of high-duty plastic. 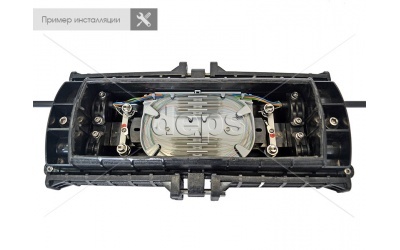 Tight joint of the housing halves is ensured by a rubber gasket. 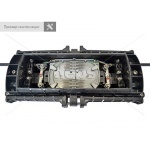 Four special wedge-shaped contracting devices are provided for uniform embracing along all the coupling length. 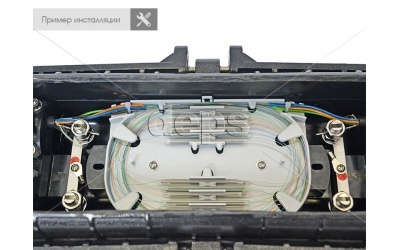 A special joint sealing tape is used for better sealing of cable inputs. 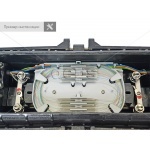 Material for the sealing tape is composed in such a way as to compensate mechanical stress arising during operation within temperature range -40°С to +60°С. 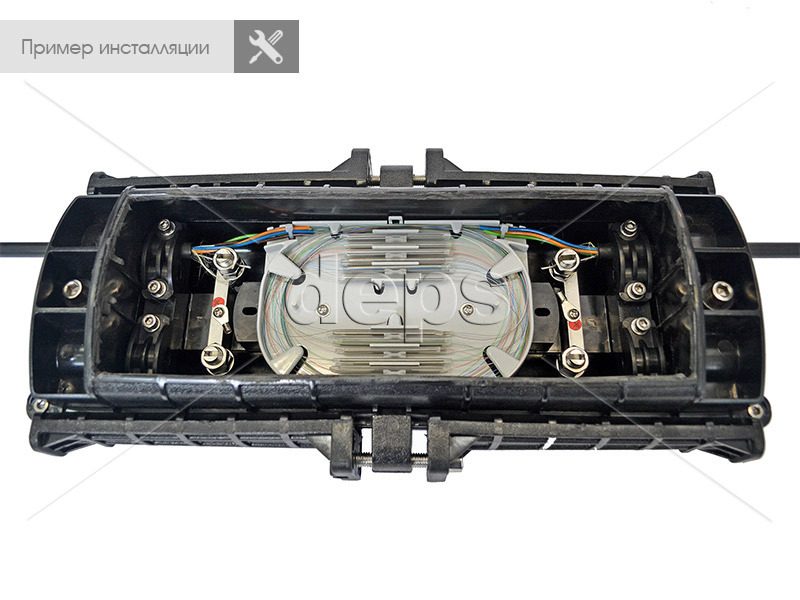 All metal components of the coupling are made of corrosion-resistant materials.